Did you know that Contract Natural Gas is the top independent supplier of commercial gas in the UK? This guide will tell you what to expect from CNG, reviews from trusted websites such as Trustpilot, our breakdown of the benefits and comparison with similar companies. Founded in 1994 Contract Natural Gas or CNG for short is a company that supplies gas for business customers in the UK. 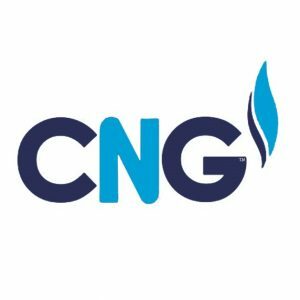 The company has a long history that may not have always been positive for its customers, see the reviews section, but in the last five years or so CNG have won a variety of awards for their work. Yorkshire Post Fastest 50: This recognises the fastest growing, high achieving companies, which CNG joined in 2014. Putting the Customer First Award: Contract Natural Gas had to submit to a 3-stage process that examines the strategic, tactical and operational delivery of their business. An investor in Customers Award: Investor in Customers spent five weeks carrying out an independent assessment of CNG, establishing the strength of their relationship to their customers as well as how they understand their customer’s needs. This assessment also includes how they deliver their products and services. Currently, CNG charges 0.1930p per kWh consumption of 4,397 kWh’s or over with VAT at the standard rate. CNG also offers the option to pay your bill depending on how your business works – this can be separate invoices for separate commercial sites or group billing which means you will receive one bill for every one of your business sites. 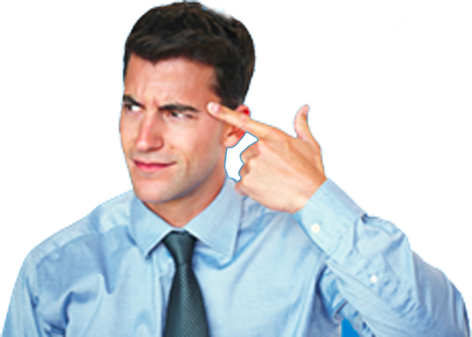 An ‘out of contract’ rate applies within the time that you have terminated your contract with your current supplier, in this case, CNG, and you haven’t established a new contract with your new provider. CNG’s current out of contract (OOC) rate for gas is 6.50p per kWh. A ‘deemed rate’ is when you move into a premise that already has their gas supplied by CNG, but you haven’t established a contract with them. Deemed rates are often far more expensive than the regular prices when in a contract, so it is advised to get into an agreement with a supplier as soon as possible to avoid hefty bills. CNG’s current deemed rate for gas is 6.95p per kWh. To get a quote from CNG, you will need to have this information ready. Contract Natural Gas supplies commercial properties with gas, which is the only energy that they currently offer. They claim to be the most prominent independent supplier of gas, and one of the most accurate, having moved their customers to automated meter readers (AMR). AMR units are attached to your existing meter. It records what energy you use and uses SMS roaming SIM technology to feed the information back to the Contract Natural Gas customer portal. The AMR is available around 24 hours a day; the portal allows you to monitor the gas you use to make you more energy efficient. This meter can be handy when determining your energy costs when your business has multiple sites. When you are working on your commercial sites, sometimes you need meters installing, or even new gas connections and mains. This is where CNG come in with their energy connections service. They promise to minimise any potential disruption to your business and will work with your architects and designers to deliver a seamless service. Contract Natural Gas believe in healthy competition, which is why they offer smaller independent businesses a range of services, which they think keeps the market healthy and benefits the customer. The way it works is that you obtain your license from Ofgem which is the industry regulator, talk to the Meter Reading Agency and Meter Asset Managers. CNG will liaise with your third-party supplier or networks, then handle everything from your first enquiry to your final supply. You will have everything you need to stay compliant and meet the needs of your clients. CNG has currently won two awards for their customer service, one from Putting the Customer First award and another from Investor in Customers, both of which required an objective, outside assessment of their relationships with their customers and their internal processes. However, Trustpilot seems to tell a slightly different story. Although there are a minimal amount of reviews overall, so it is hard to say how relevant they are, there does seem to be a weighted number of negative reviews vs positive ones, and many of these negative reviews include criticism of their customer service. Great customer service! Lovely to speak to a bunch of people who want to help us. Abysmal company. They refused to accept a change of tenancy form from me when I took over a business, which my young family live above, resulting in the meter being taken in the middle of January, as I was not going to be held accountable for previous owners debts. Leaving us with no heat or oven/cooker. Although CNG does not seem to supply a breakdown of their tariff types or average costs, it does appear that they offer a range of both fixed and variable contracts, which they tailor to your business depending on its bespoke needs. On their website, they suggest calling their team directly at 01423 502 554 for more information and a quote to suit your company. Although Contract Natural Gas was founded in 1994, there are only seven reviews on Trustpilot, which makes it difficult to find an objective view of the company from the perspective of a customer. CNG supply gas to business customers. They are the best utility company that I have dealt with. If you ring them they pick up the phone, they are in the UK, they know what they are talking about, and they resolve your query there and then. No passing you from pillar to post and no long delays on hold. Very disappointed – this company upped my sister’s payments without any prior notice, contrary to the agreement she made with them. After phoning them to query the increase, she was passed from pillar to post. CNG need to stop deceiving their customers to line their own pockets. Based on all of the information, including reviews, a look into the company, it’s awards and the benefits they offer, it seems that Contract Natural Gas might be a good fit for a large company that has multiple commercial sites. Their flexible billing may save your company a lot of time and headache by having the option to group your bills into one easy to digest invoice. Contract Natural Gas is one of the largest independent suppliers of gas in the UK, and along with their transparent information about out of contract or deemed rates, it is easy for a business to see how much they will be paying for their energy without a specific contract agreed with CNG. Although they have had negative customer support reviews in the past, it seems like they are making the effort to improve their internal procedures.